Who would have thunk it? 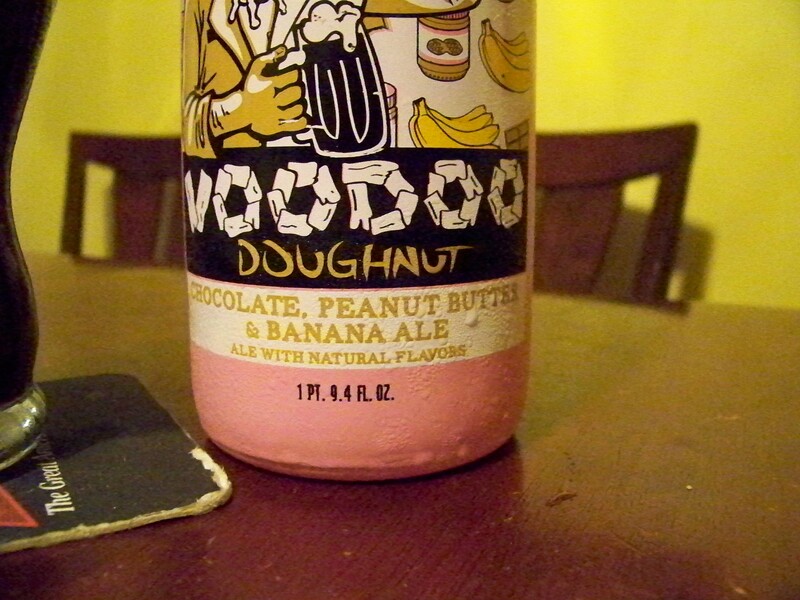 A doughnut beer? 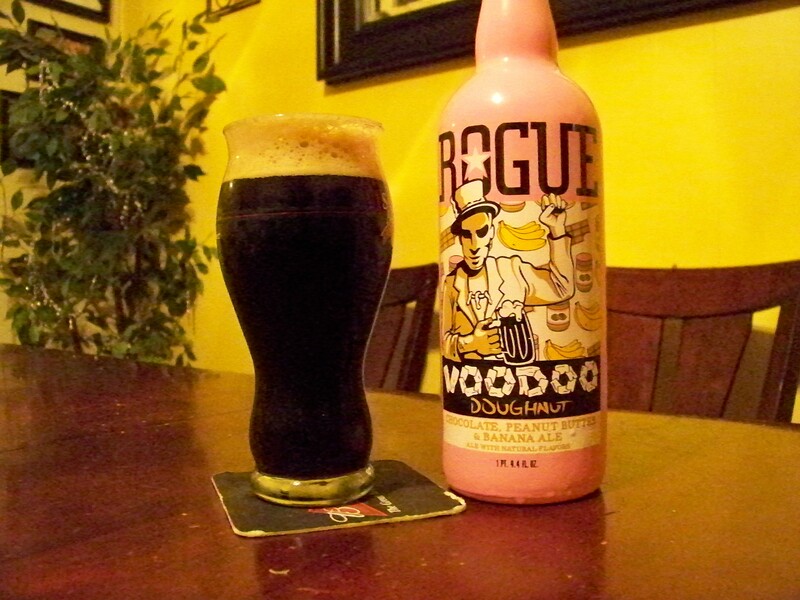 Yep that’s right the people at Rogue Brewing that’s who. Eye catching pink bottle with the descriptors at the bottom. Chocolate, peanut-butter, and banana. What? In a beer. Yep in a beer. So yes I had to try it. Who would have thunk of these flavors for a beer? Enjoying a nice evening making dinner with the family, alfredo, garlic bread, salads, and corn on the cob, I decided to crack open this bad boy. Poured black with an off white head. The aroma of all three chocolate, peanut-butter, and banana hit your nose. Now forcing my brother to try a taste, you would have thought I had given him motor oil, he hacked, coughed and gagged. Sissy. Problem is he didn’t even get a good taste just a little sip. I will just have to pull him along into the craft beer world. Now my wife shared with me she enjoyed it. Appreciated it for its interesting flavors. My take I was disappointed there wasn’t enough peanut-butter flavor for me. Nice chocolate and banana though. I was surprised that all flavors were from extract. I would have thought that the banana would have come from some Belgium yeast strain. The bottle was enjoyed by most and would I buy it again? Probably not. Would I drink it again if it were offered to me yes without a doubt.